January is coming to a close and with it comes the last event of the month, Cataclysm Timewalking. Make sure you know what's what for the next week of dungeons! Today we're going to be giving you a run-down of the most efficient methods for farming Timewalking, the best way to gear for it, what you can get for it and how it all works. What is Timewalking and how does it work? Timewalking is essentially Blizzard's way of allowing us to re-visit the old content that we all look at with rose-tinted glasses, then force us to farm it so that we never ask for them to implement old servers. Really though, Timewalking is basically just re-doing the old dungeons with the same level of gear you would have had in that expansion. Talents and abilities are the same. Throughout each dungeon, the bosses drop a currency by the name of Timewarped Badges. The bosses also have a chance to drop gear depending on your real level, before the dungeon scaling. At level 100, this gear is item level 660, but can drop as warforged resulting in an item level of 675. The gear will not level with you, instead staying at the level you earnt it. Why would I bother with Timewalking? Timewalking is arguably the most efficient way to gear a character up in a short space of time when reaching level 100. Admittedly, the gear is not the highest item level, but it works for a fresh level 100. Through the use of drops from bosses and gear bought from the vendor, you can very quickly find yourself with a full set of 660-675 gear. It's also important to remember the weekly event quest, A Shattered Path Through Time, which grants a Iron Fleet Treasure Chest, 1 bonus roll seal and 500 Valor. The mount dropped from any Timewalking dungeon, the Infinite Timereaver. 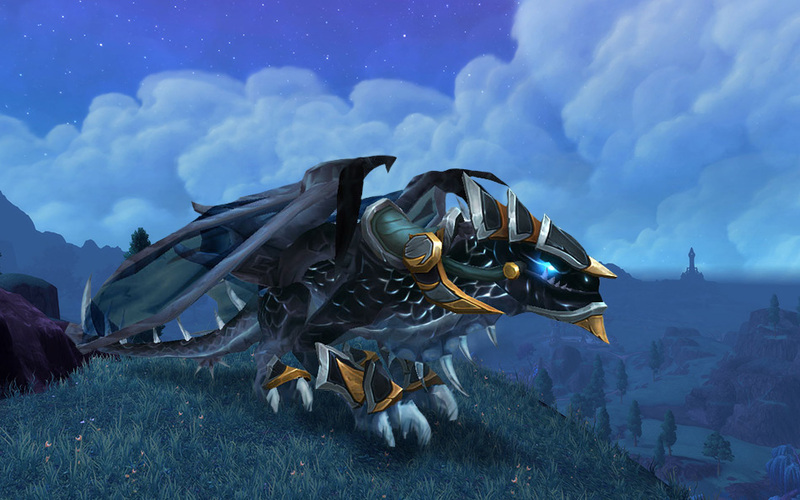 Mount: There is no event specific mount for Cataclysm Timewalking. Toys: Gurboggle's Gleaming Bauble, Tosselwrench's Mega-Accurate Simulation Viewfinder. Gear Slots: Weapon, waist, legs, back, head, trinket. Faction Reputation Commendations: Therazane, Earthen Ring, Ramkahen, Guardians of Hyjal, Wildhammer Clan, Dragonmaw Clan. Heirloom Items: Ancient Heirloom Scabbard, Ancient Heirloom Armor Casing, Timeworn Heirloom Scabbard, Timeworn Heirloom Armor Casing. How can I farm these badges quickly? The currency for all of these items, Timewarped Badges, is quite a laborious task to farm. We're here to help you know exactly how many of these dungeons you need to farm and how quickly you can be doing them. Completing a dungeon: 10 badges. Normal boss kill: 5 badges. End boss kill: 10 badges. When attempting to farm these badges, I would recommend finding another 4 people that are aiming for a similar number of badges. Since players below level 100 can queue up, often their lack of abilities can slow the run down quite a bit. Find other players and queue as a group of 5. ​This goes without saying, but I feel I should bring it up anyway. Legendary effects work in Timewalking and they are simply incredible. In certain instances, legendaries such as the legendary cloaks can make you destroy the DPS of other players in your group. The melee legendary cloak from Mists of Pandaria. One of the biggest boosts to your output is going to be gems. Gems in Timewalking are simply incredible. Take the scenario of a Cataclysm dungeon in which you have on Bracers of Destructive Strength. The bracers will give you a base stat of +9 strength, but there are two red gem slots. We can fill these gem slots with epic gems to allow for a bonus +20 strength. I'm sure you can see how this adds up over all your items. Make sure to farm gear that has a large number of gem slots regardless of the other stats on the item. If you are looking for a Best-in-Slot gear list, make sure to check out this spreadsheet. The best example I can give to support this claim is the Warrior class trinket from Archimonde, Worldbreaker's Resolve. When used at level 100, it grants a 21.96% bonus on its effect at item level 705. If used in Cataclysm Timewalking, the bonus drops to 1.82%, rendering it useless. Hopefully some of the tips listed here might be able to help you understand Timewalking a bit better. Put on your rose-tinted glasses and get farming!